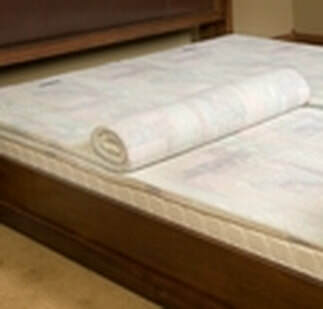 ​One of my best health aids is the Magnetico bed pad because it helps with energy, sleep and just about everything, and is easily tolerated by highly sensitive people like me. I got my first Magnetico in the year 2000 and it immediately corrected a chaotic sleep schedule. My sleep and that of many other people improved immediately: more regular, longer, and deeper sleep as indicated by memorable, coherent dreams. The Magnetico speeds up the electrons of every atom, which enables atoms to bind with other atoms to form molecules and activate metabolic process of all kinds that are experienced as energy, sleep, detoxification, pain reduction, etc. Within 15-20 minutes of laying on the pad there are observable differences in blood cells that are no longer clumping but are now separated to improve circulation. Strengthening the body automatically helps detoxification by enabling the body to heal itself. The “father of chelation,” (chelation is an aggressive detox method) Dr. Gary Gordon explained that he and some of his colleagues found that the Magnetico mobilized excretion of more heavy metals even after chelation was done until no more metals came out. The Magnetico website has illustrations showing rates of excretion of metals increasing after the first night of sleeping on the Magnetico. The Magnetico is fantastic. First 2-3 weeks I had strong flue like symptoms and felt like crap, and was about to stop using it. After 4 weeks everything changed. I am 42, and now I have the energy and sleep like I did when I was 20. Just unbelievable. Less sleep and more energized. I work night shifts, and my sons use every opportunity to sleep in our bed when I am at work. We have noticed big difference in sleep quality and energy level when they sleep on the Magnetico. My wife, a skeptic you could say, noticed that her back pain went away after just a few days. One more interesting thing. My blood pressure has gone down from around 140/85 to 110/70, and my hemoglobin has increased from below 14 to15.8. This is just in the last 4-5 weeks. I have tried other magnetic pads before, and they did nothing. Magnetico is really working wonders. Since I live in Norway shipping was a bit expensive, but it is worth every penny. The Magnetico protects against the interference of cross currents from electrical and magnetic fields from cell phones, wifi, smart meters, wiring, etc., by strengthening the body’s own current so as not be overwhelmed by external frequencies. The Magnetico does this by strengthening the electrical fields of the body that run down the nerves with the return along the facia and back up the spine. arthritis, fibromyalgia, autism, chronic fatigue, back problems, migraines, headaches, multiple sclerosis, allergies, PMS, sore muscles, low bone density, poor circulation, low energy, high blood pressure, heart problems, arterial plaque removal, post-polio syndrome, lupus, emphysema, insomnia, post-surgical recovery, sports performance, and many more…. Our bodies require magnetic fields from the earth that are generated by molten iron lava deep within the earth—not all planets have magnetic fields. Natural fluctuations in the strength of these fields are at a low now of about .5 gauss, down from 5 just 4,000 years ago and from 300 in the time of the dinosaurs. This is one reason why boosting magnetic fields can be especially helpful to health now. “Magnetic field deficiency syndrome” was even defined by a Japanese doctor, Kyoichi Nakagawa, M. D. He found that large modern buildings can weaken our connection to natural magnetic fields to create health problems and lower productivity. This magnetic pad is uniquely designed with an all negative pole magnetic field to avoid the problem with other magnet pads that work at first then stop or make you worse. I find the benefits to continue indefinitely as the body increases its ability to heal itself.